Solid State Logic unveiled a new console designed for live applications in space-restricted environments – the L100. SSL also recommends it for sub-mixing and corporate production use cases. 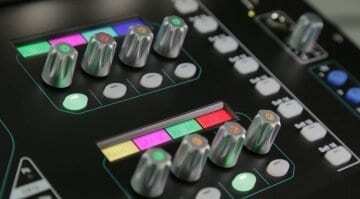 The L100 incorporates modern SSL technology like the Tempest audio engine and I/O options that include SuperAnalogue stageboxes with MADI and Dante connectivity, local analog/digital I/O, and Blacklight. 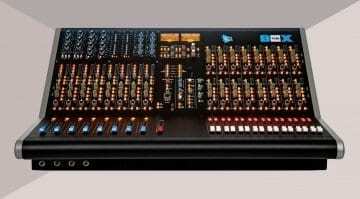 The console has a compact 12 + 2 fader frame, yet preserves the fast access layer, bank switching, and Super-Q technology. This allows for quickly adjusting channels, groups, aux, VCA, and master. For additional faders and control, the L100 can be expanded with SSL’s new Remote Tile, an external touchscreen, and tablet control. In addition to the control surface, there’s a 17-inch touchscreen which provides access to all functionality. It combines with a set of Quick Controls integrated into the central Fader Tile. 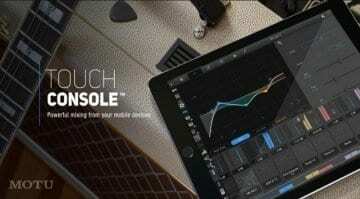 There’s also a built-in tablet stand which combines with the TaCo tablet control application, resulting in an additional control interface for channel or Effects Rack processing. Finally, there’s the Master Tile which has Mute Group, Solo/Talkback, Assignable keys, and Automation controls. Thanks to its architecture, the L100 can potentially handle up to 64 input channels, 36 aux sends, 12 stem groups, 12 VCAs, and four masters. There’s also an output matrix with 4 x 32 inputs and 12 outputs. Each L100 signal path (up to 96) is fully processed with EQ, dynamics, tube saturation, delay, an all-pass filter, and two insert points. Up to 24 instances of SSL effects can run inside the console’s built-in FX rack. 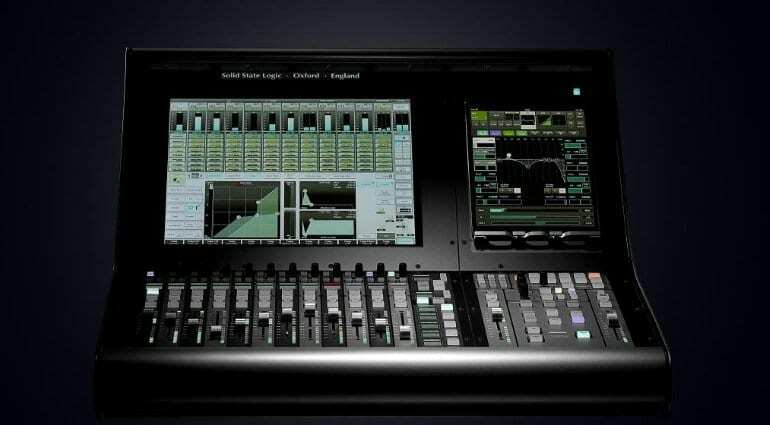 Overall, the L100 sounds like an excellent choice for small to mid-sized live productions and if SSL is to be trusted (which is the case in general), the console is available at a “very competitive price point” which may vary across resellers. It may provide an affordable entry point for small and mid-sized venue owners to hop on board the SSL wagon and upgrade their sonics with the high quality audio the brand is known for. 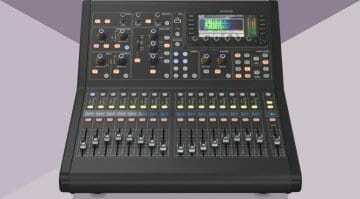 Midas M32R Live digital mixing console: More than just a facelift?